I received this book through Netgalley and I’m glad I did. The title sums up this book nicely. I really enjoyed this book. There are many characters to keep straight but once you get that down, it’s great. The story evolves around the father’s, Rupert, abandonment, survival, education, marriage, love relationships, and death. Each chapter is about a character. The first chapter introduces Eleanor, (Rupert) wife, and their five sons. Rupert and all of his sons are Princeton educated and very successful. 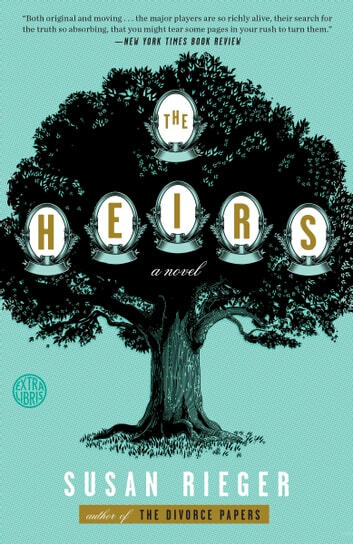 The sons’ relationships, marriages and children extend the family – the heirs. Its ironic Eleanor and Rupert have five sons but their grandchildren are all girls! I highlighted a number of philosophical lines that I want to remember. For example, “Not all men but most … are buying their mothers a gift. And when their wives show their disappointment, by returning it or burying it in the back of the closet, the men are baffled, hurt.” So true! There are a couple of surprises in the story that feel real. I recommend this book. Don’t give up with the number of characters at the beginning. It’s worth it!